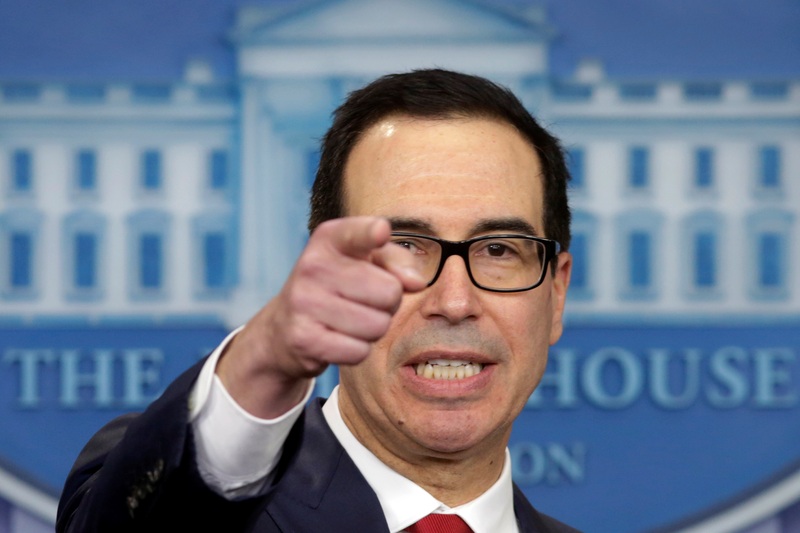 U.S. Treasury Secretary Steve Mnuchin gestures during a news briefing at the White House in Washington, U.S., to announce sanctions against Venezuela, August 25, 2017. U.S. Treasury Secretary Steven Mnuchin said on Jan. 24 that a weaker dollar was good for his country in some respects. The dollar fell after he made the comments, and hit a three-year low against a basket of other major currencies. A traded index, which tracks the dollar's value against a basket of six major currencies, fell below 90 for the first time since December 2014.